I sent bitcoin from electrum but never received it , has been confirmed but I can’t tell what’s happened to the btc. Can anyone help me out? Should be a picture included if information ! Looks like you downloaded a malware version of Electrum and sent bitcoin using that. The output address in that transaction starts with bc1. I'm guessing that's not the address you intended to send the coins to? The malware replaced the address with its own. There is nothing you can do about it now. If you want to use cryptocurrency on the same system you should do an OS reinstall first in case there were secondary infections from the malware. Sorry for your loss. Your transaction is visible on the blockchain. Click here to look up your Transaction ID on a block explorer web site. The above block explorer shows what you already know from your screenshot: it shows that address bc1q7hsnpd794pap2hd3htn8hszdfk5hzgsj5md9lz received 0.23975489 BTC from you on 2019-02-19. Now click here to view the history of address bc1q7hsnpd794pap2hd3htn8hszdfk5hzgsj5md9lz. As you can see, there are 13 pages of transactions, dating back more than a year. If you don't recognize them, it probably means that bc1q7hsnpd794pap2hd3htn8hszdfk5hzgsj5md9lz is someone else's address. Not the answer you're looking for? Browse other questions tagged electrum or ask your own question. Is Electrum's label sync a decentralized service? 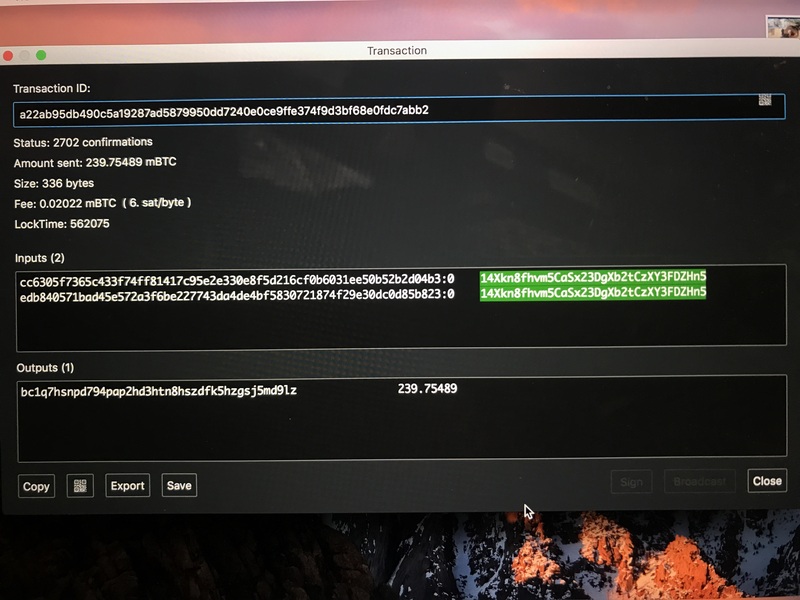 Electrum wallet not restoring with the right address? Is it possible to create multisig wallet from command line? I just buy some bitcoin and this is how I see from Electrum, what should I do now to receive the bitcoin?